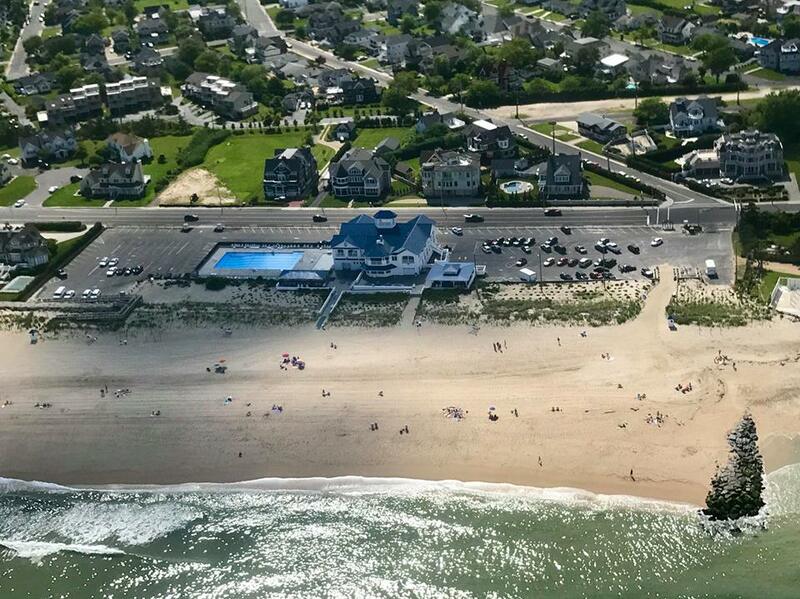 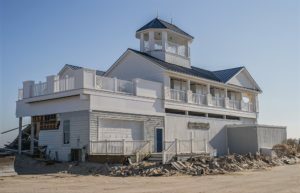 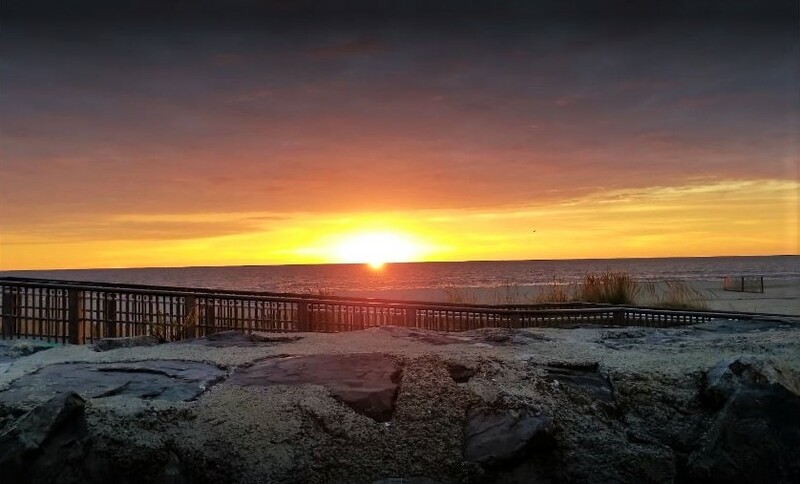 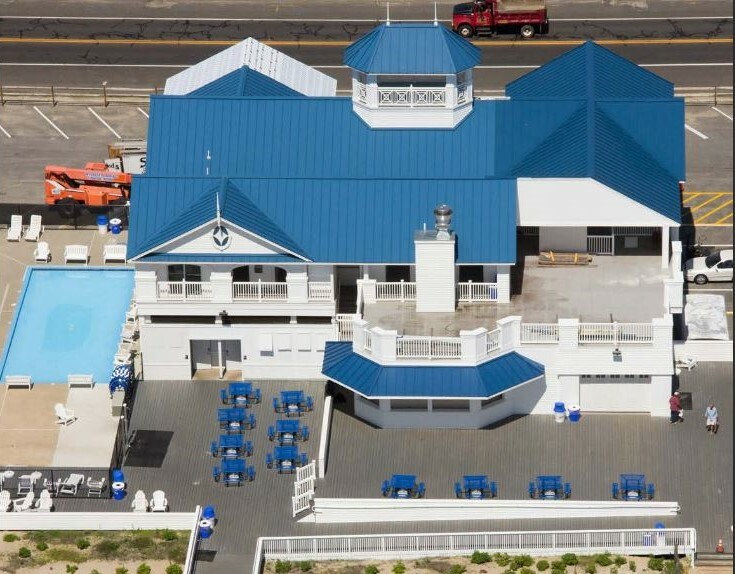 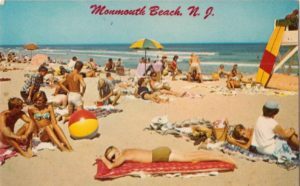 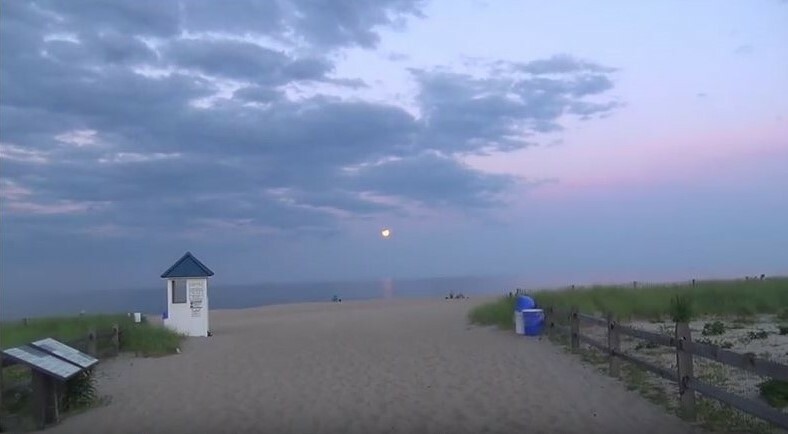 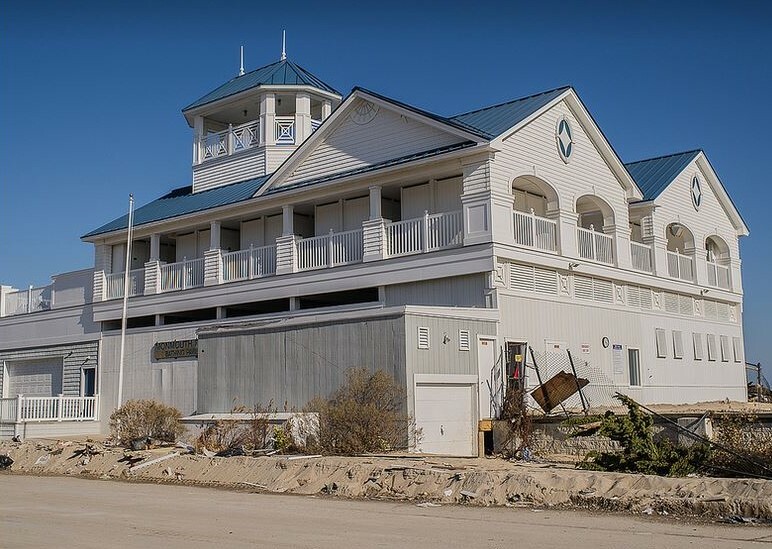 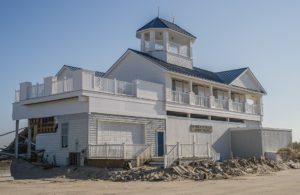 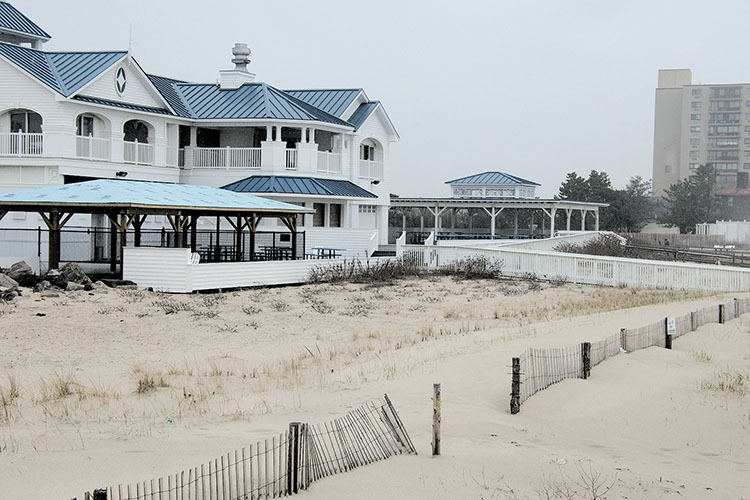 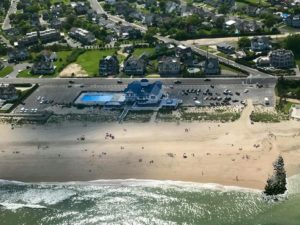 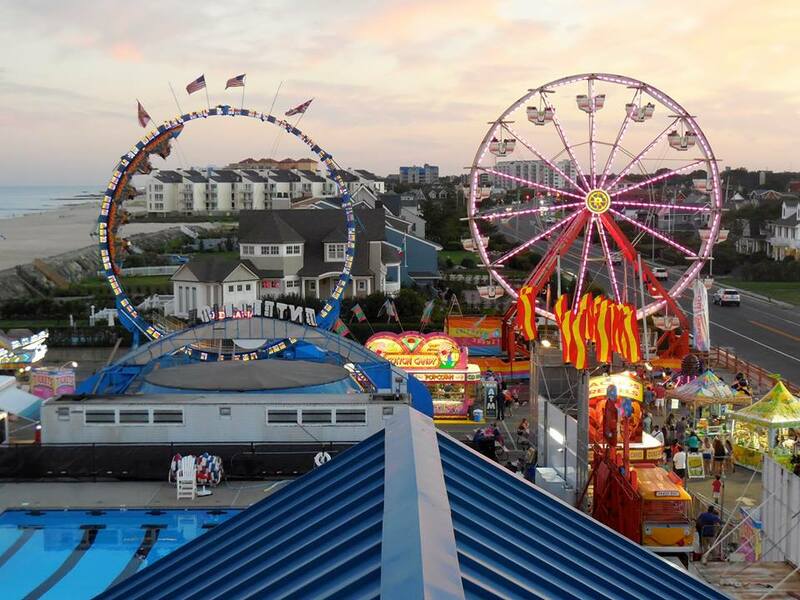 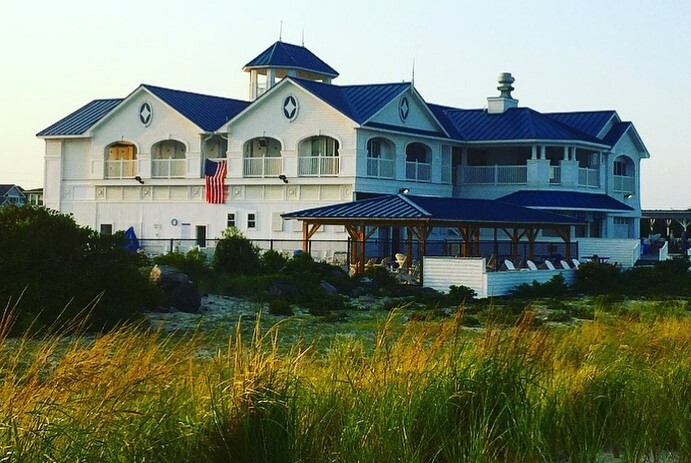 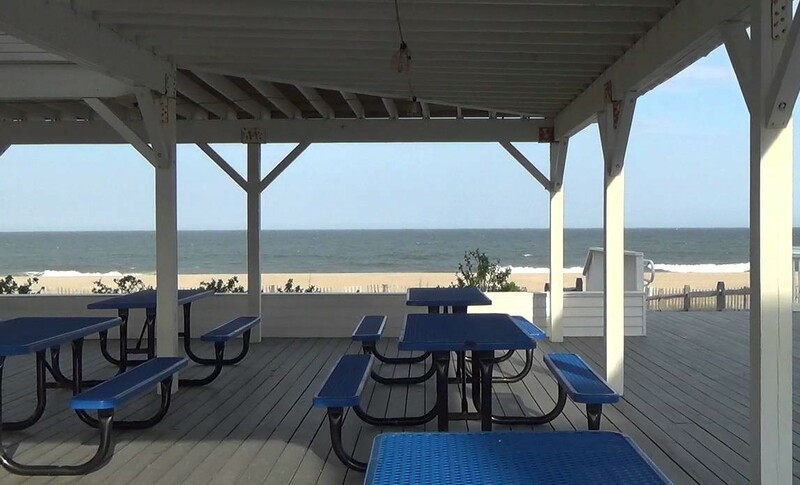 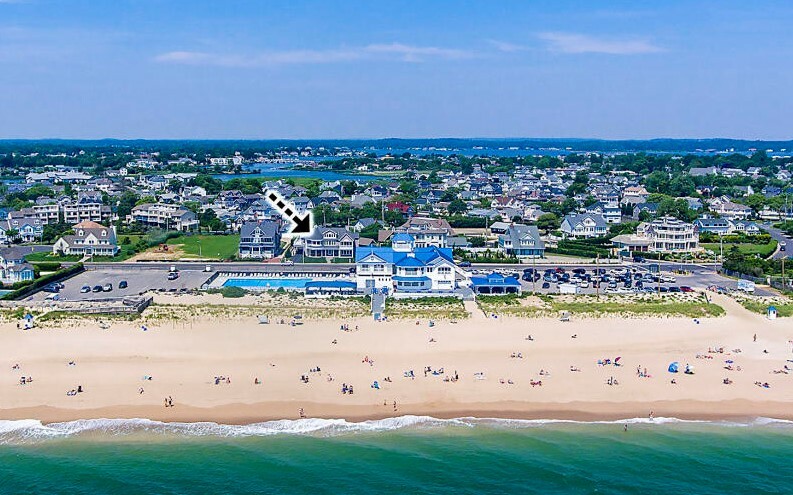 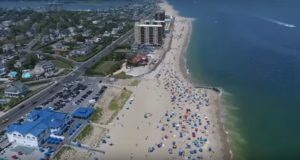 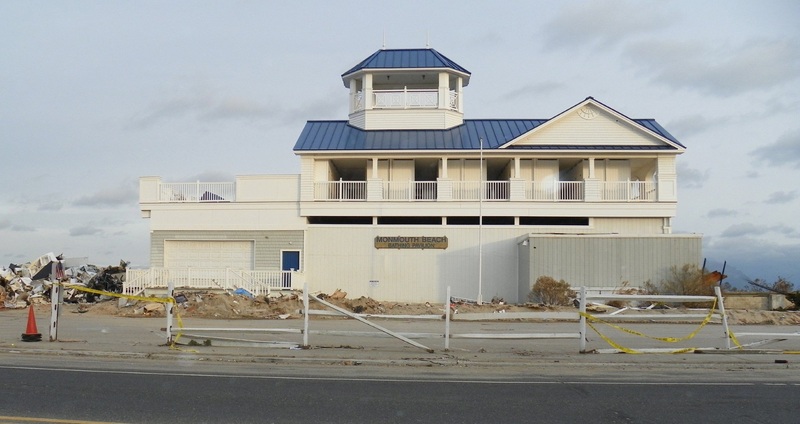 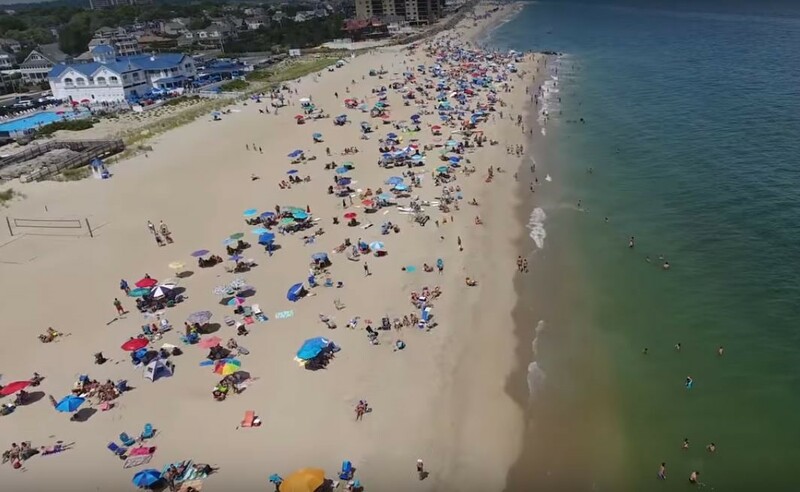 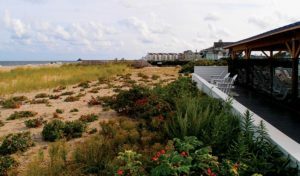 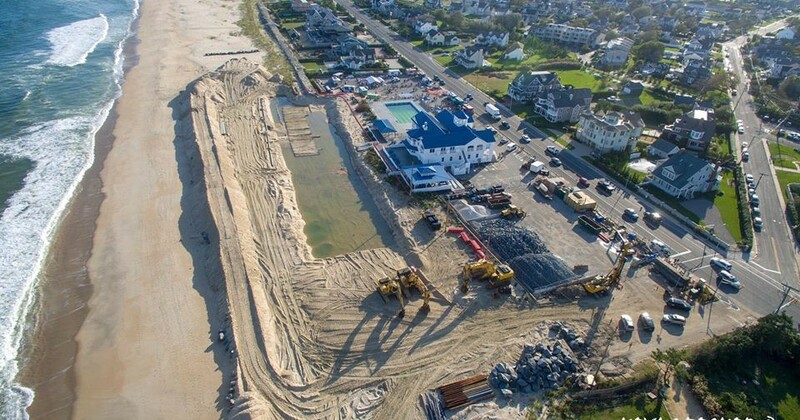 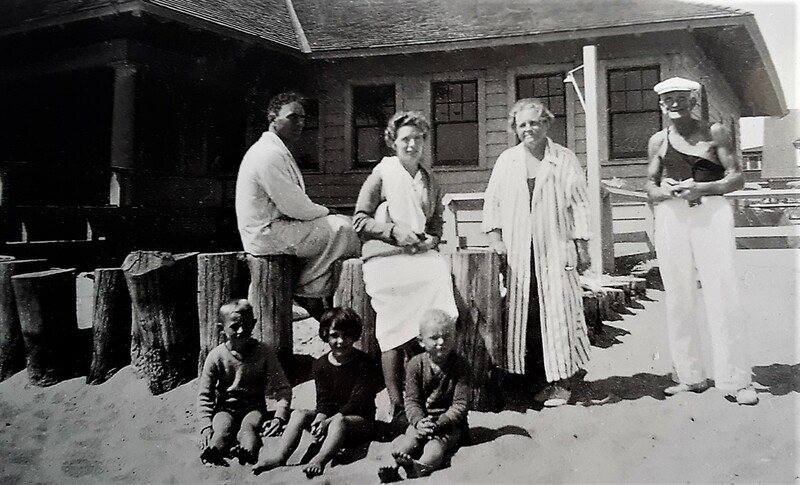 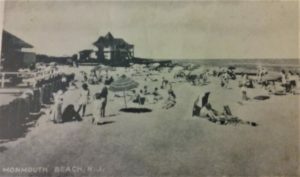 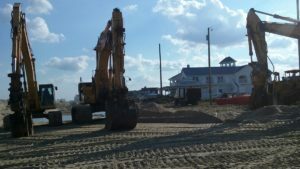 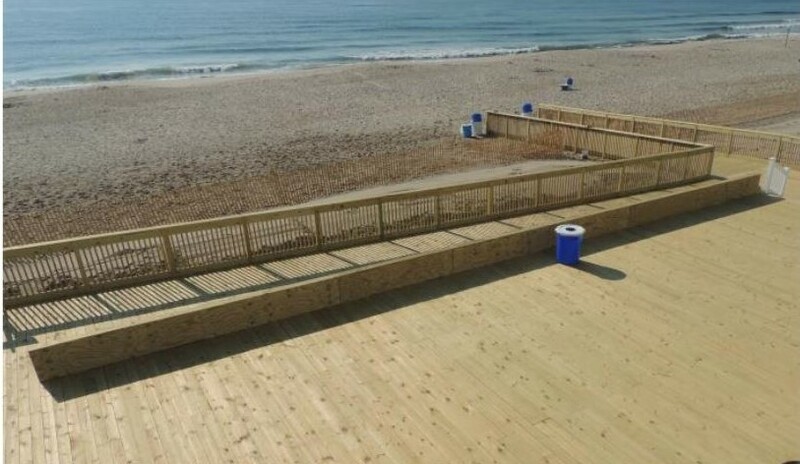 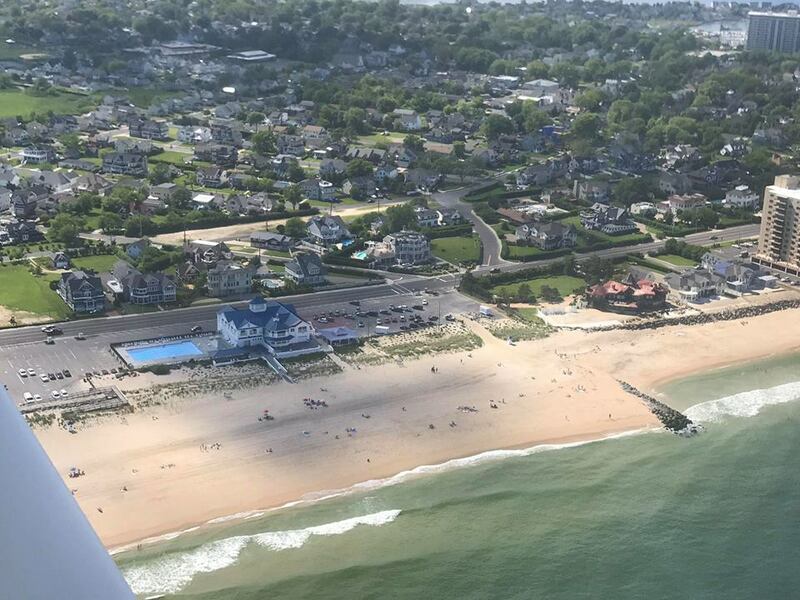 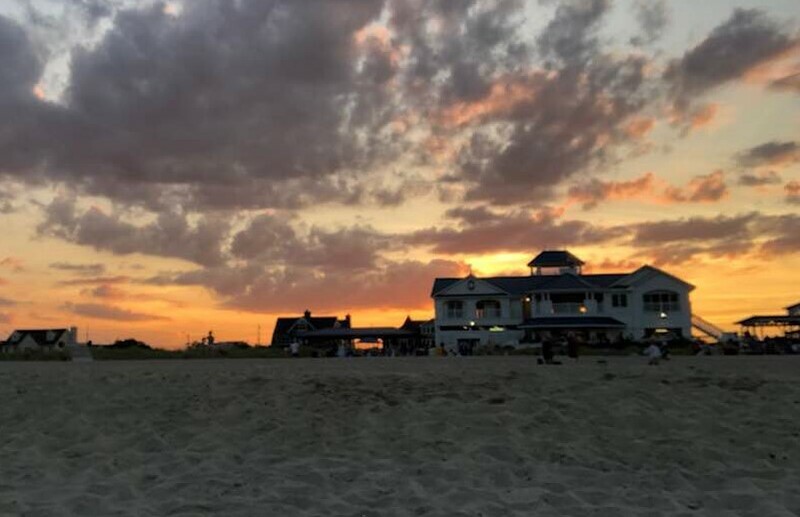 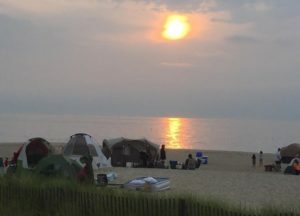 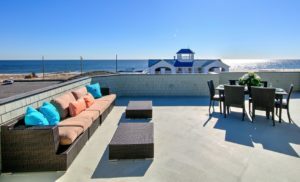 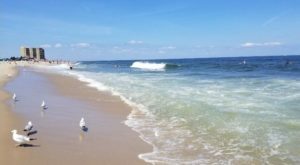 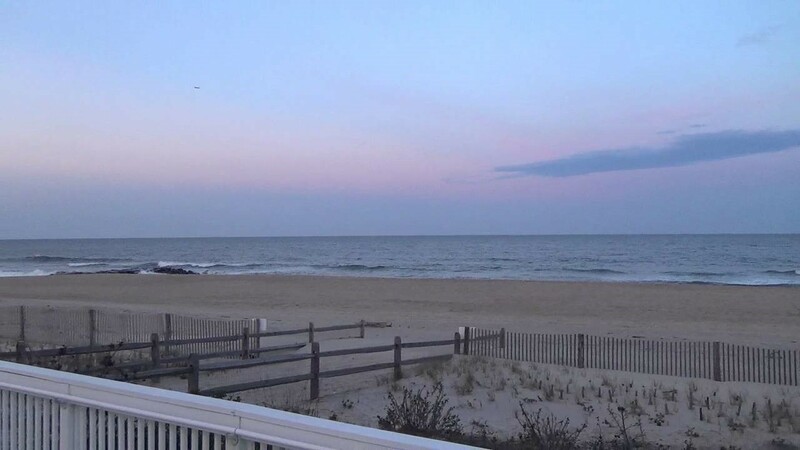 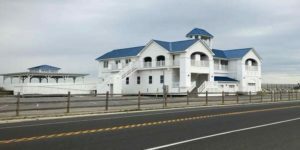 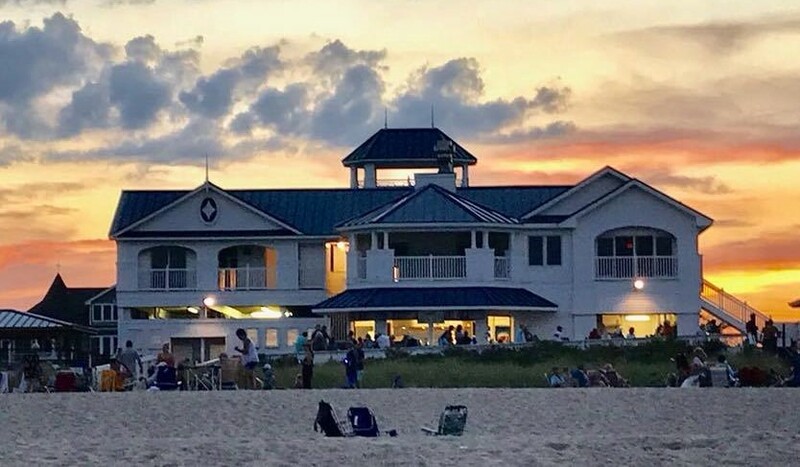 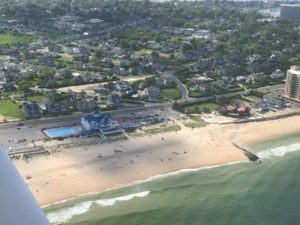 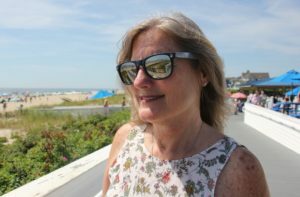 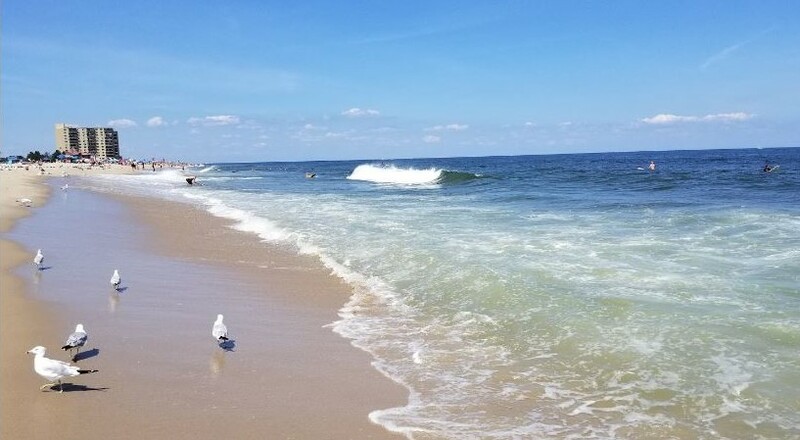 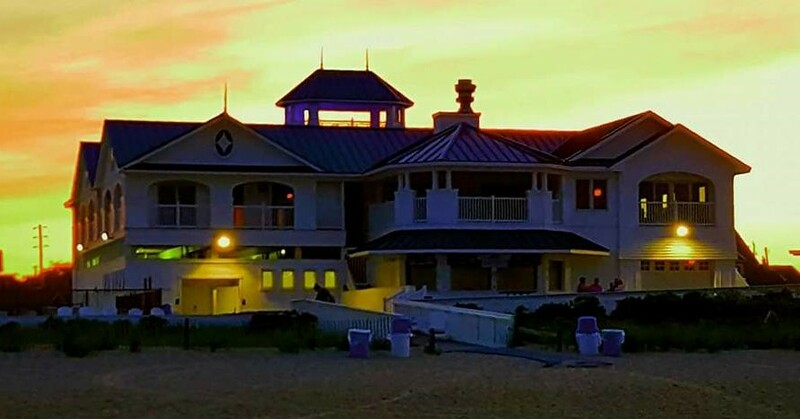 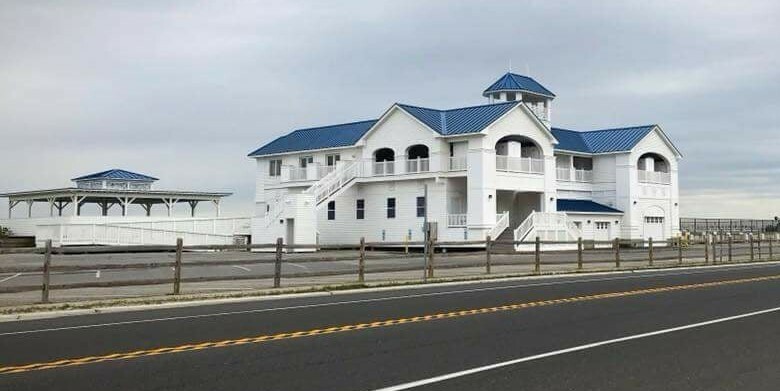 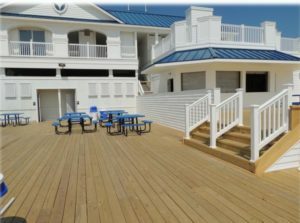 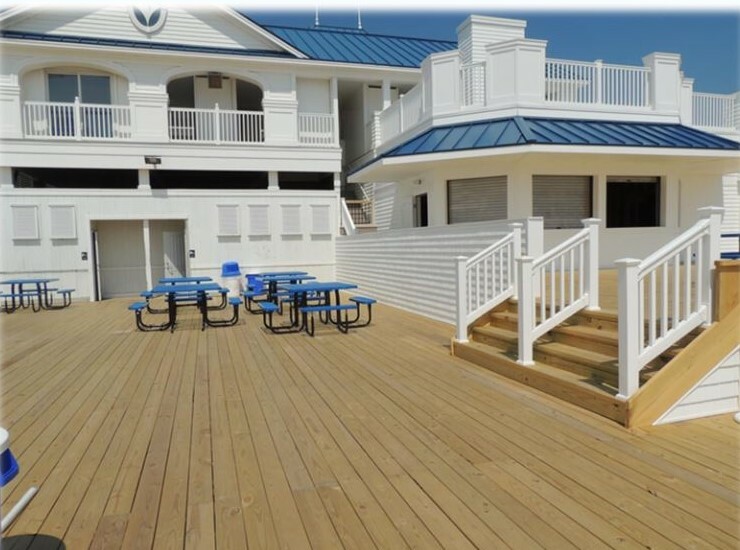 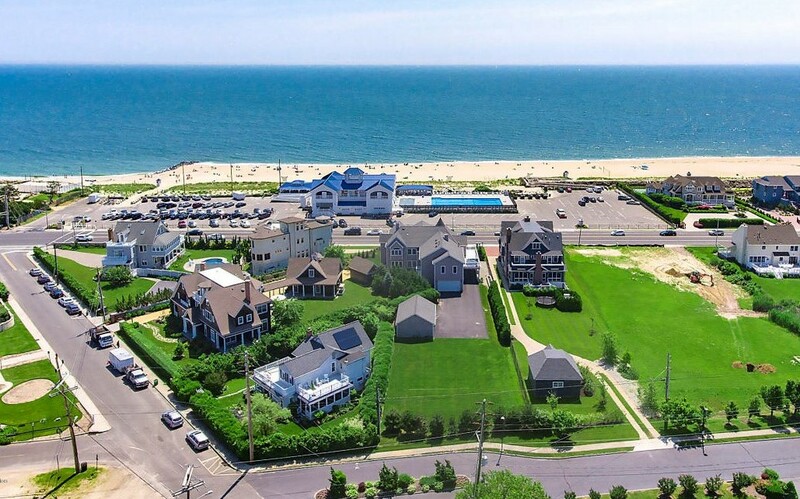 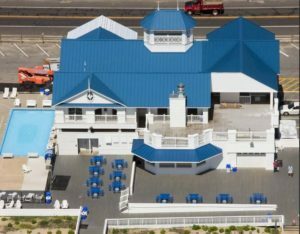 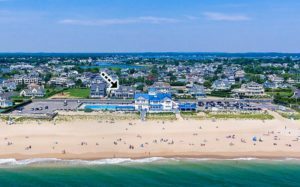 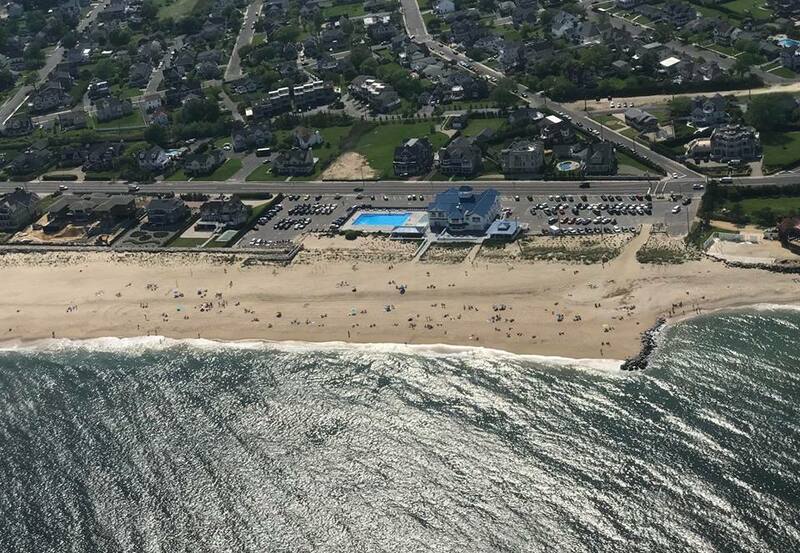 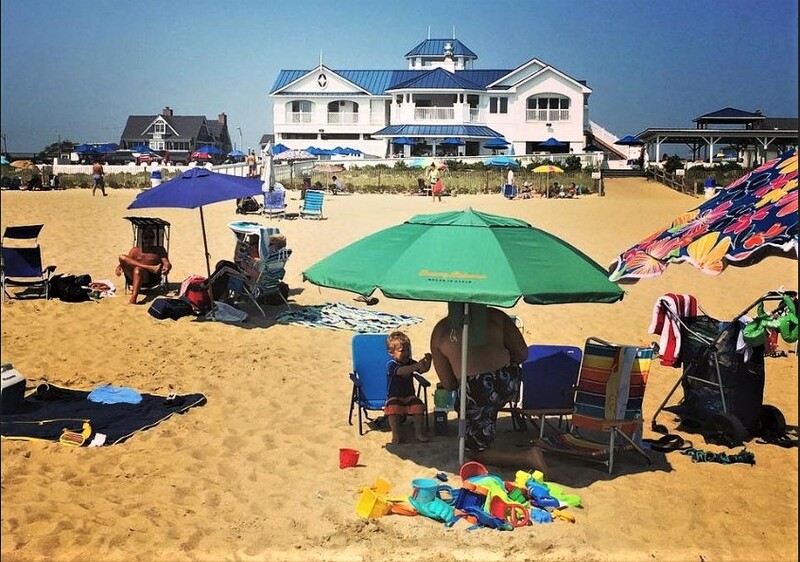 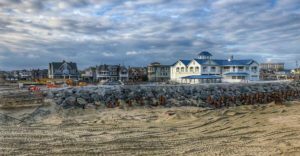 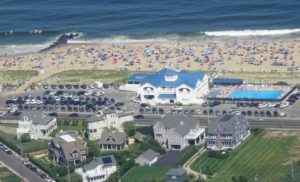 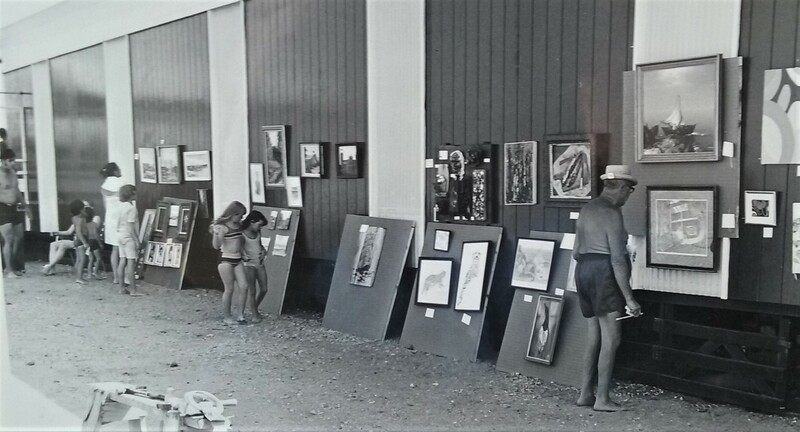 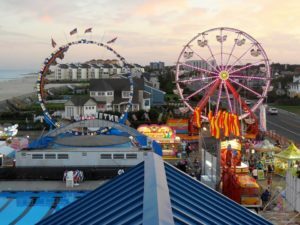 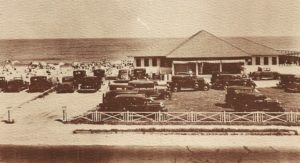 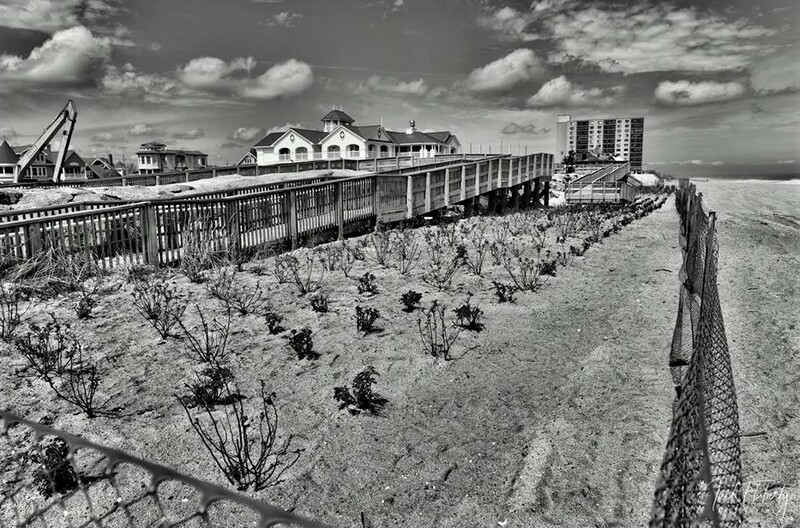 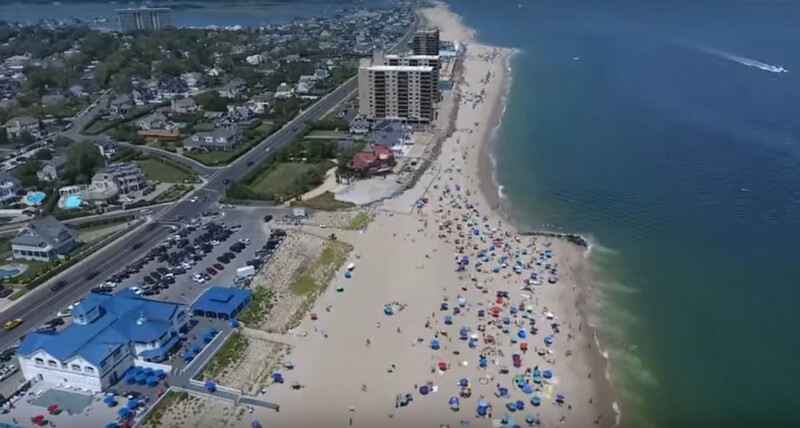 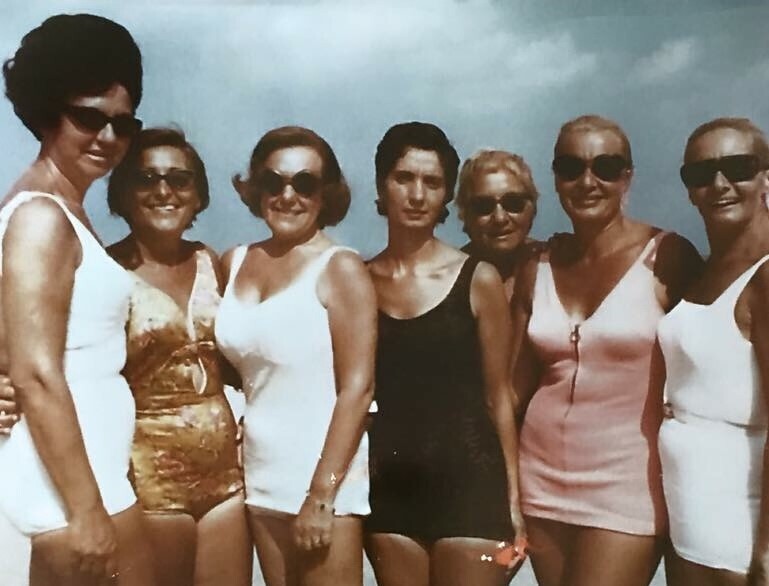 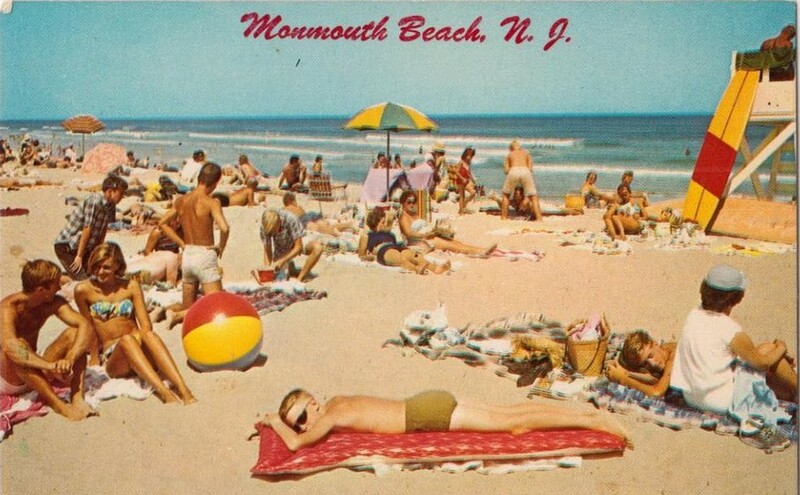 The Monmouth Beach Bathing Pavilion (MBBP) — the borough’s pubic beach club since the early 1920s — has been a go-to spot for sun and fun for generations of borough families and for families from many surrounding towns. 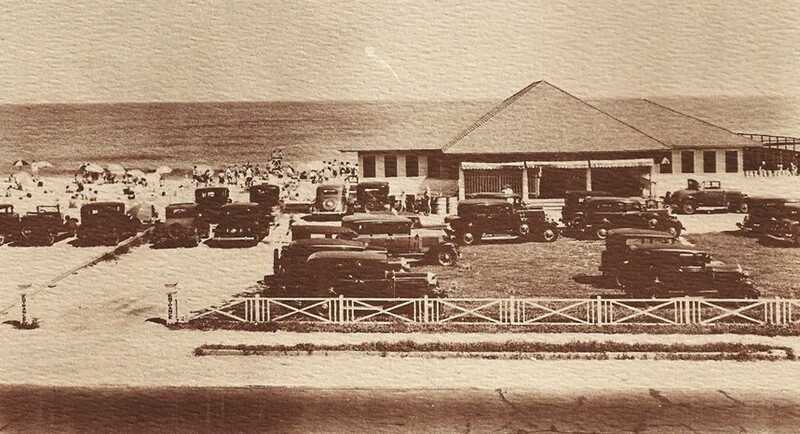 The first municipal beach club was built and opened in 1921 (the land was once owned by actor Oliver Byron). 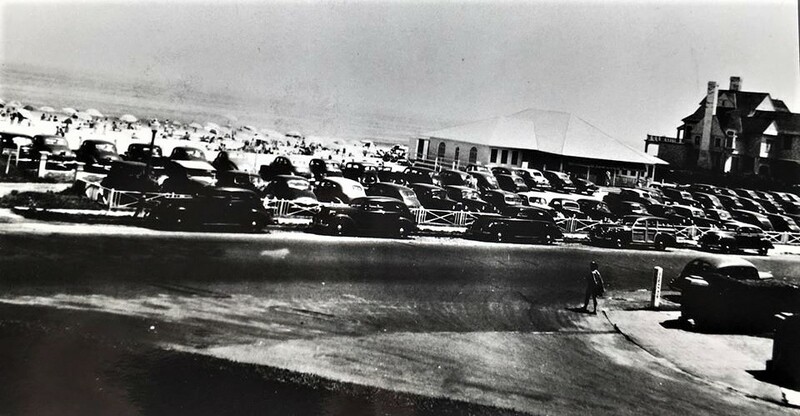 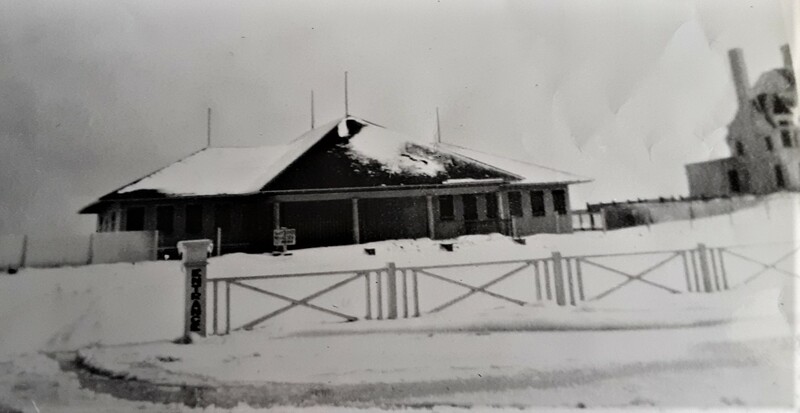 A massive early spring storm demolished that building and a new pavilion was constructed in 1962; the pool was added in 1964. 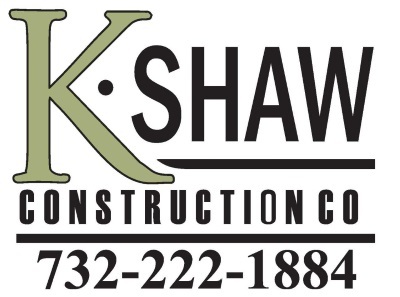 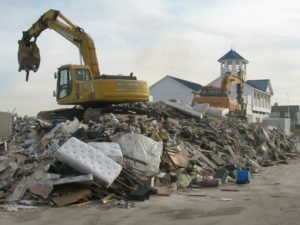 Various storms, additions, and changes have altered the facility’s appearance over the past 25 years. MBBP after Hurricane Sandy, 2012. 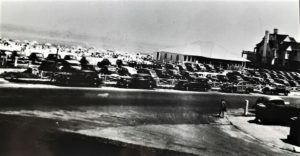 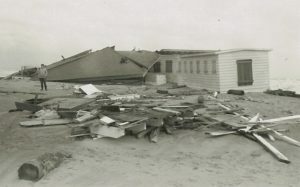 MBBP storm-damaged parking lot, 1970s. 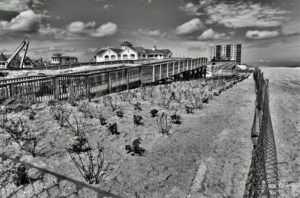 Newly replenished beach with planted dune grass at MBBP, 1995. 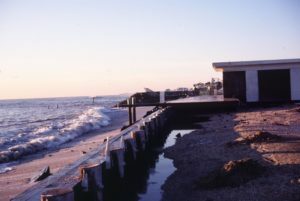 Newly replenished beach at MBBP, 1995. 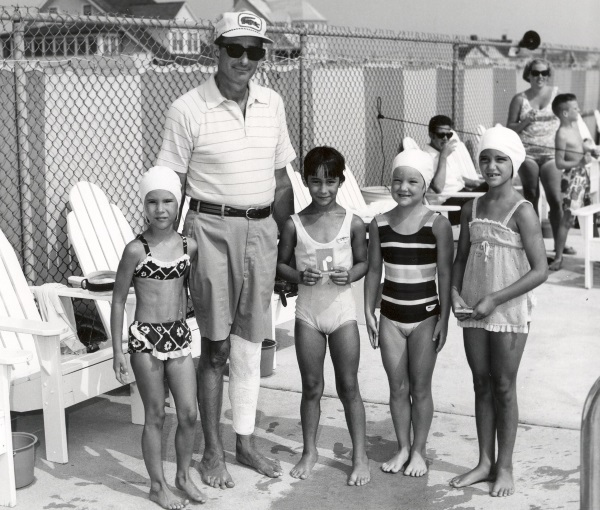 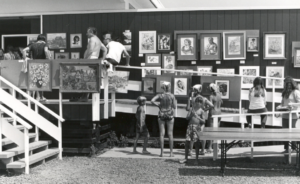 Mayor Sidney Johnson at MBBP with young swimmers, 1970. 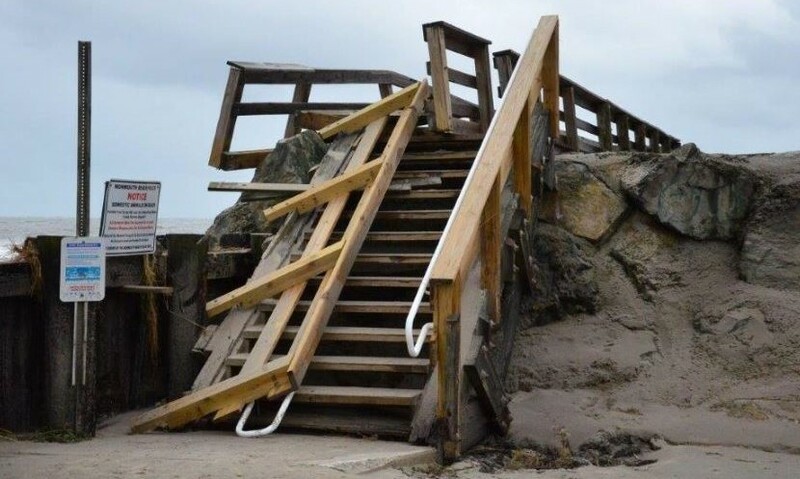 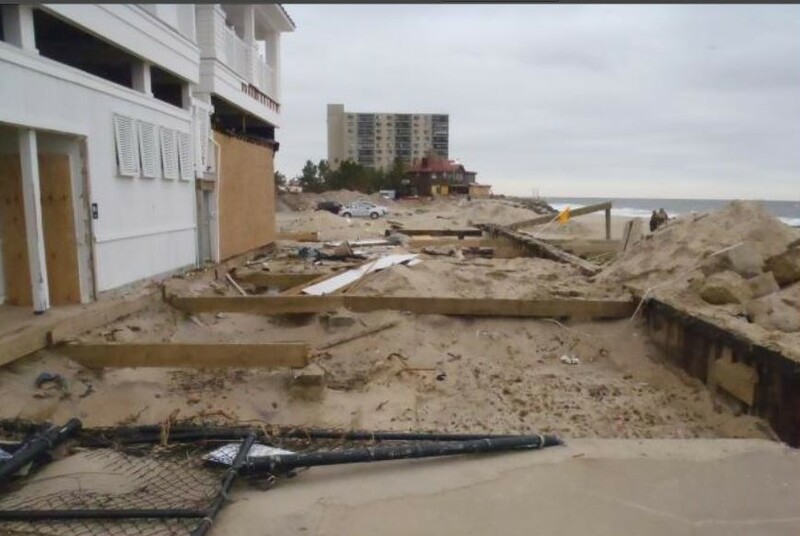 MBBP after Hurricane Sandy, 2013. 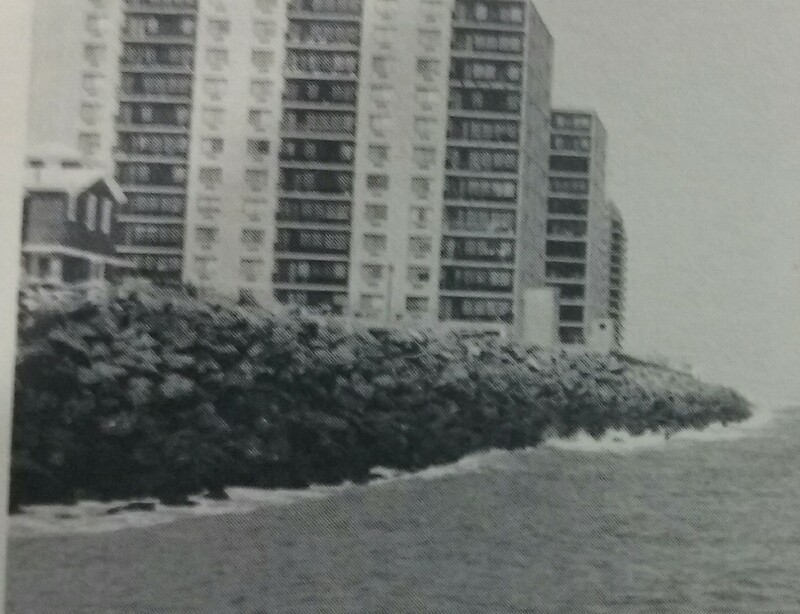 High tide near MBBP seawall, 1980s. 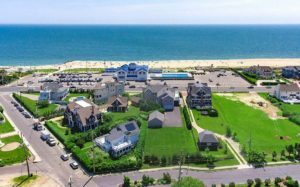 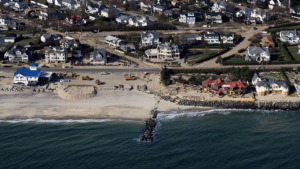 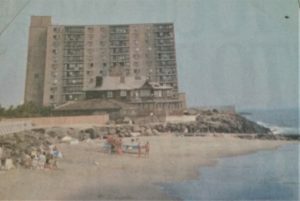 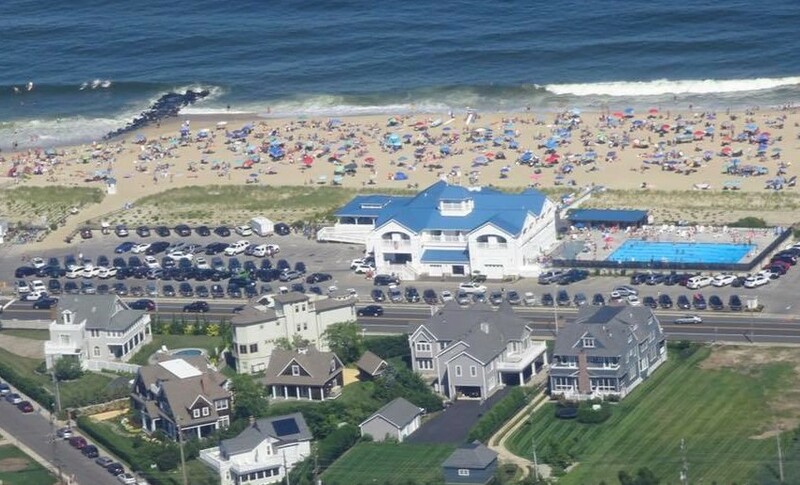 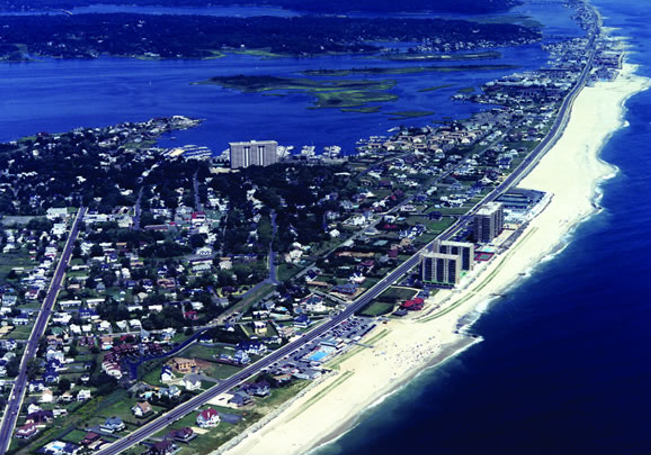 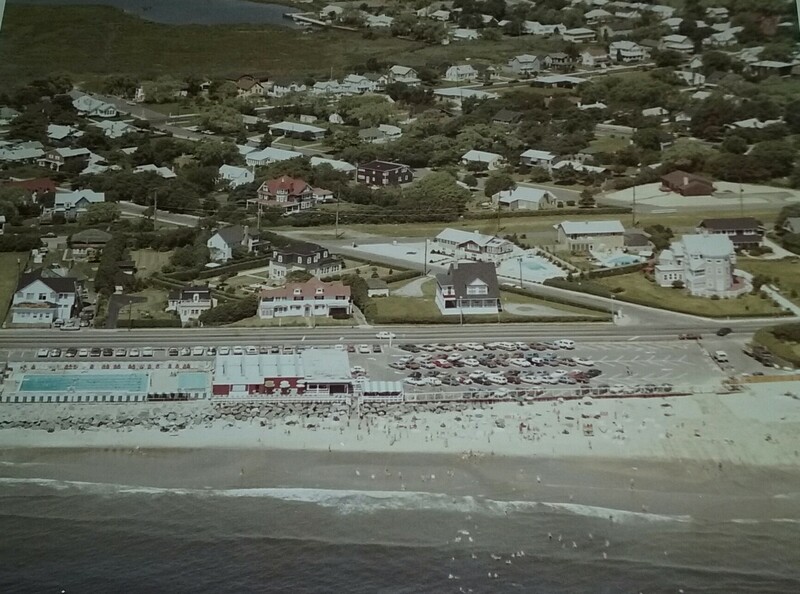 Aerial view of Monmouth Beach, late 1990s. 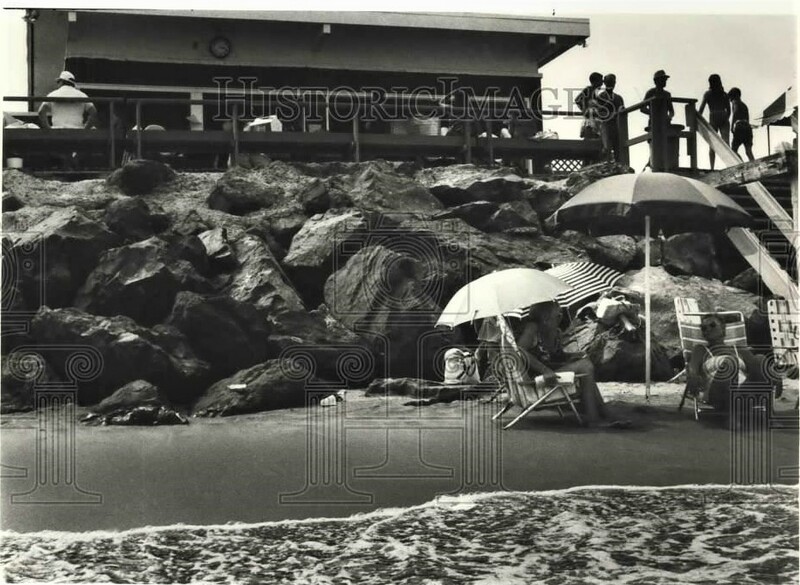 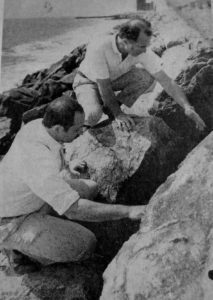 Mayor Lou Sodano (above) examines seawall damage near MBBP, late 1970s. 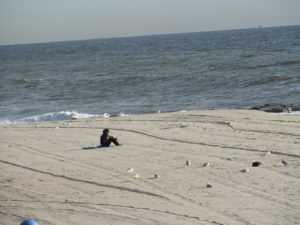 Serenity by the sea at MBBP, 2009. 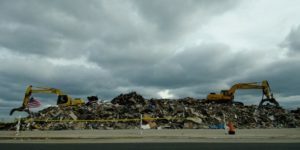 Post Hurricane Sandy dump at MBBP, 2012. 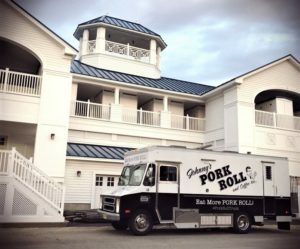 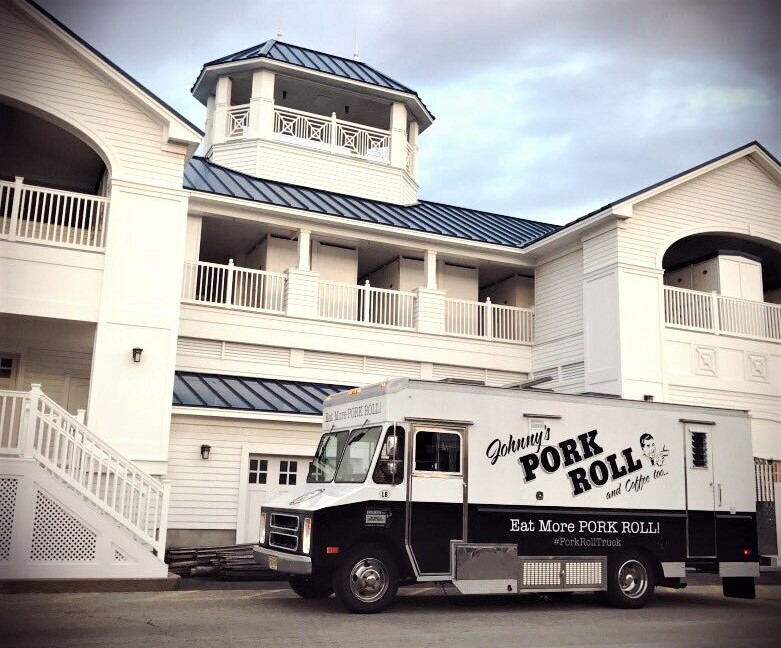 Pork Roll truck at MBBP, 2017. The Boyle Family at MBBP, 1933. 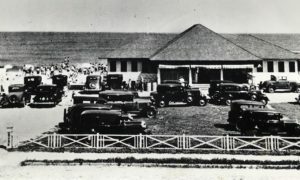 MB Firemen’s Fair held at MBBP, 2018. 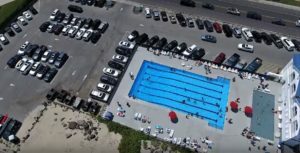 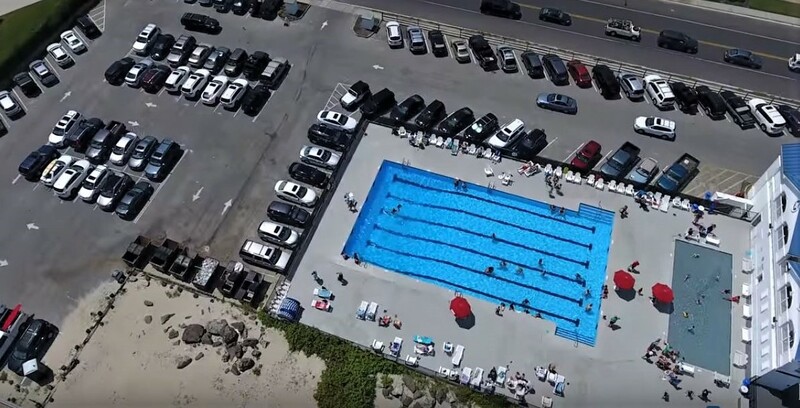 MBBP pool aerial image, 2018. 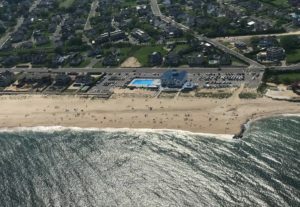 MBBP beach aerial image, 2018. 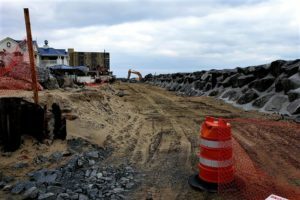 New seawall under construction at MBBP, 2018. 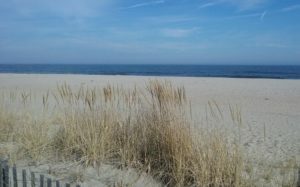 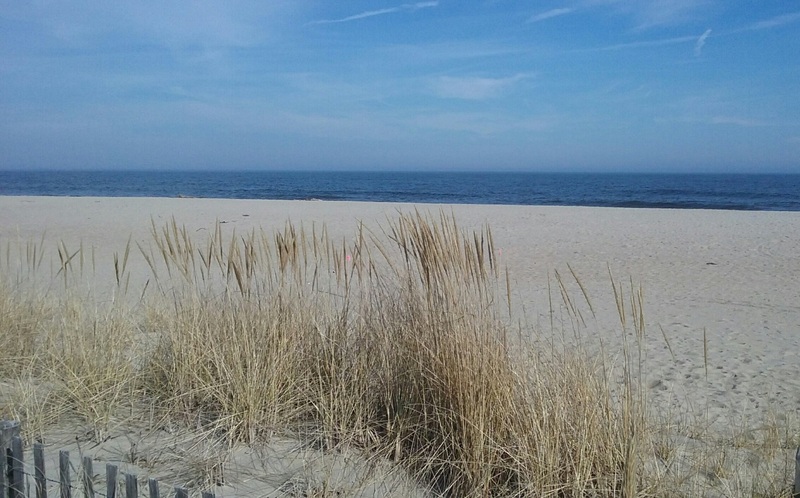 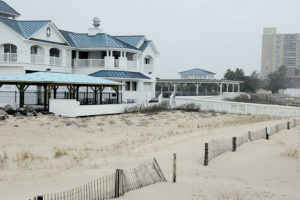 MBBP dune grass in front, 2016. 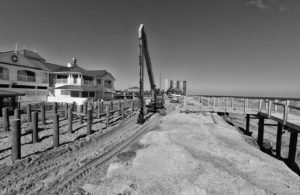 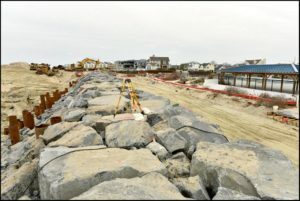 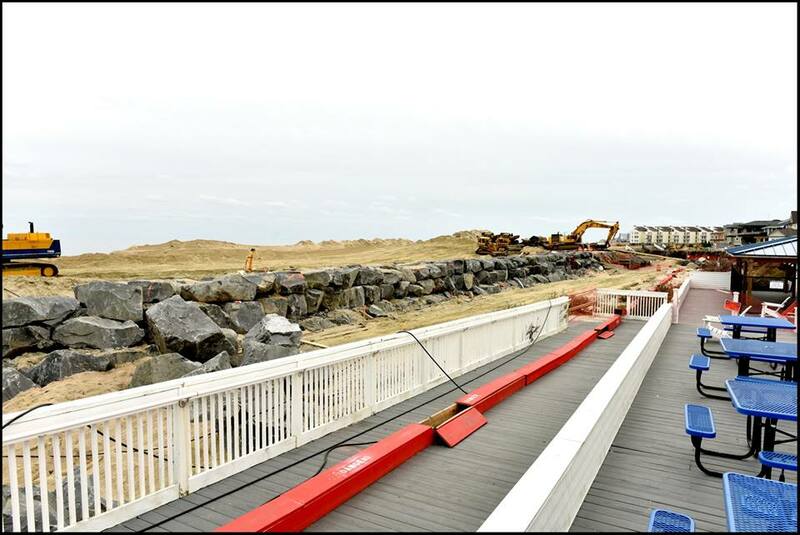 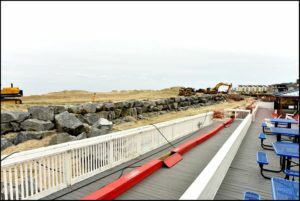 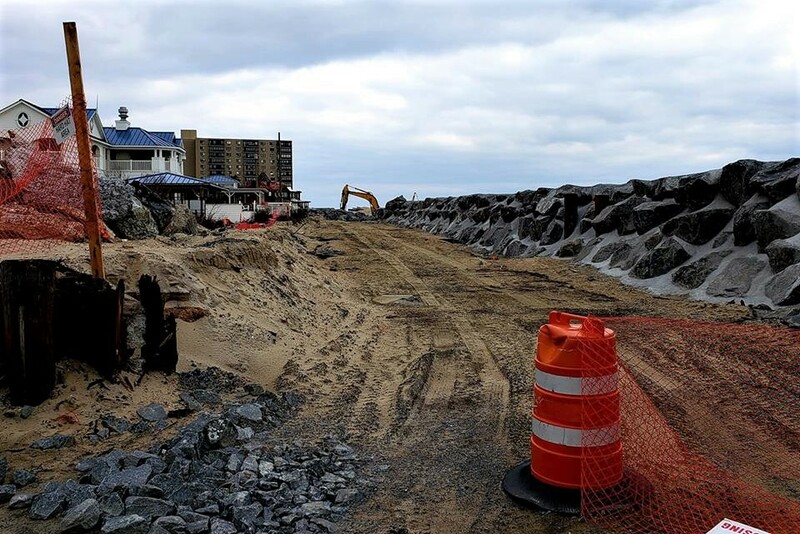 Seawall project underway at MBBP, 2018. 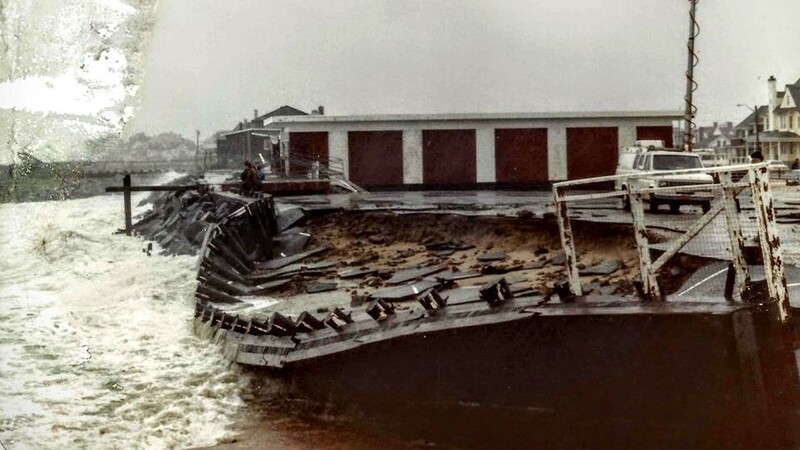 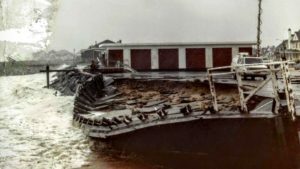 MBBP remains after storm, 1962. 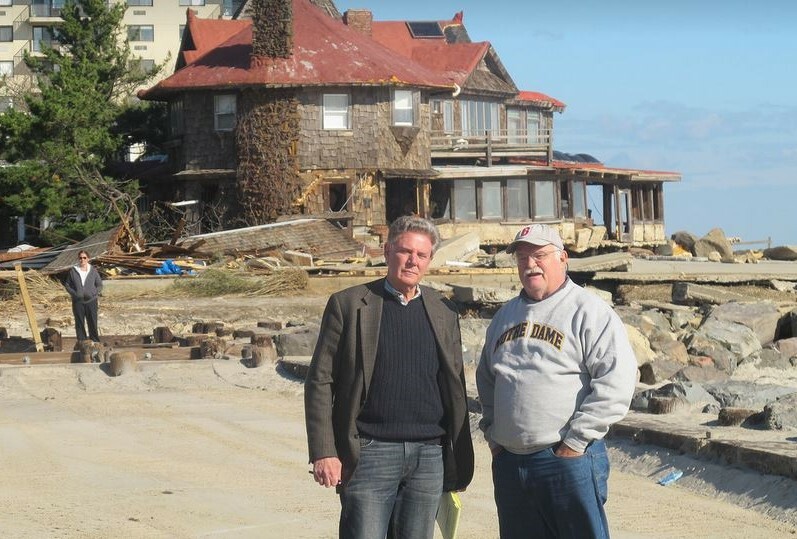 Congressman Frank Pallone and Commissioner Jim Cunniff at MBBP after Hurricane Sandy, 2013. 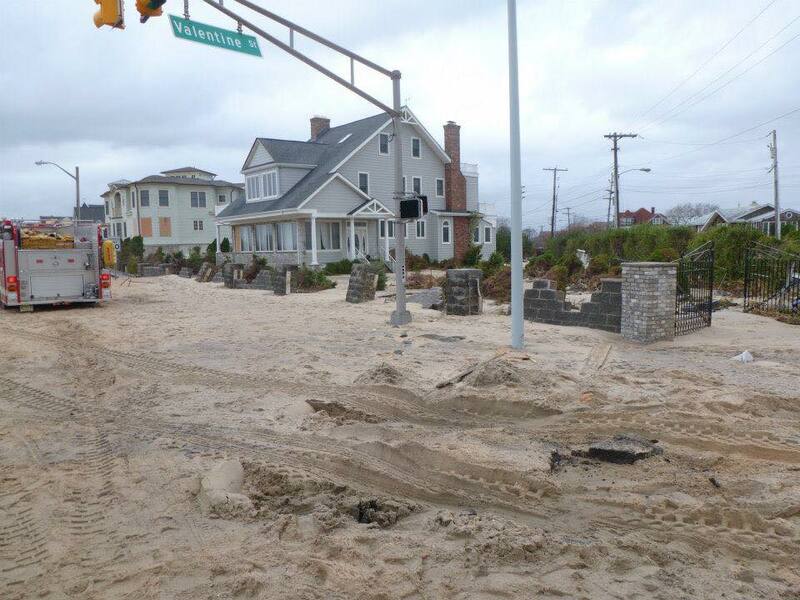 MBBP parking lot after Hurricane Sandy, 2013. 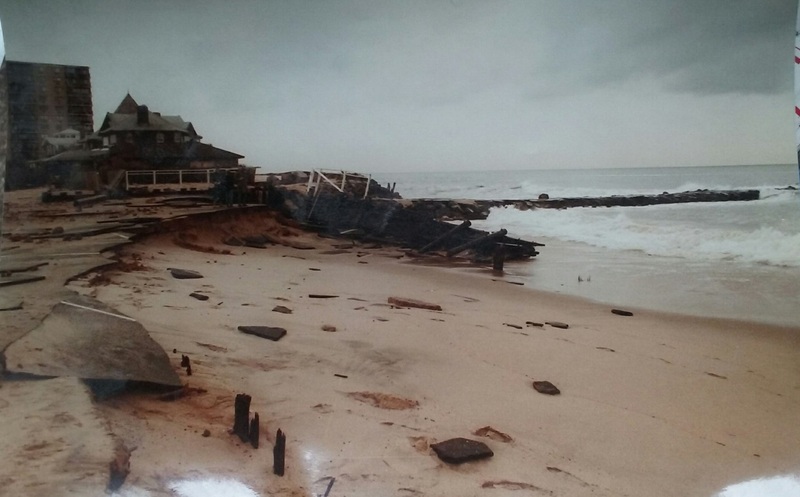 MBBP Hurricane Sandy damage, 2012. 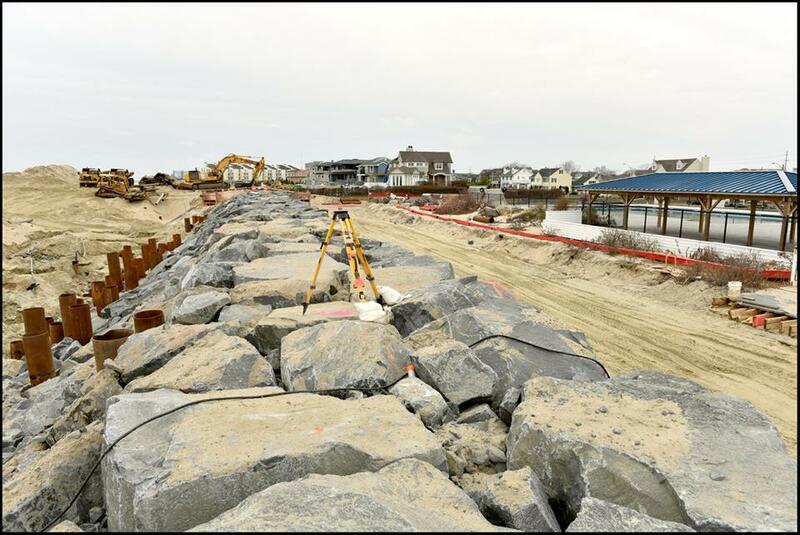 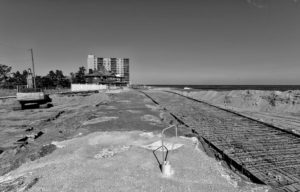 MBBP new seawall project, 2018. 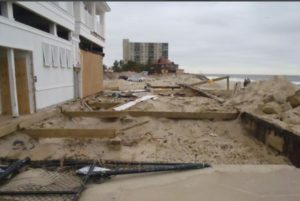 MBBP prep for Hurricane Sandy, 2012. 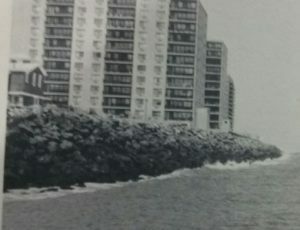 Sketch proposal for new MBBP, 1962. MBBP in the winter, 2010s. 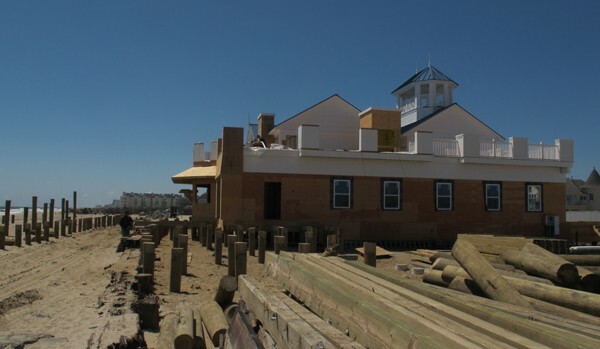 MBBP repairs after Hurricane Sandy, 2013. 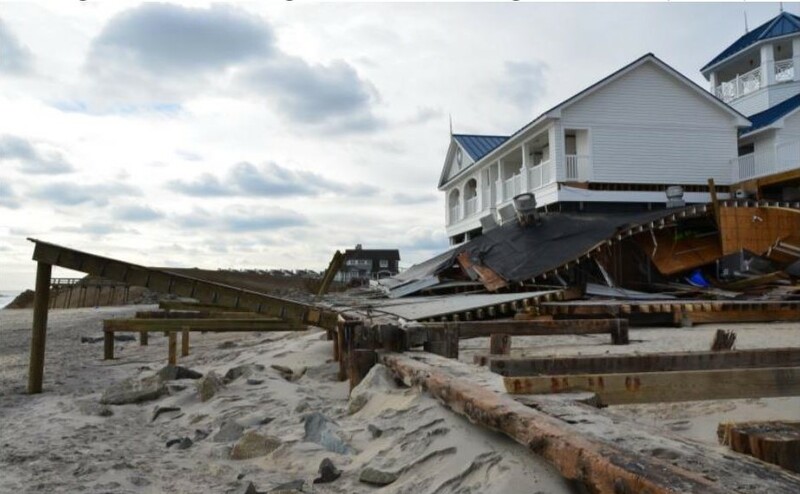 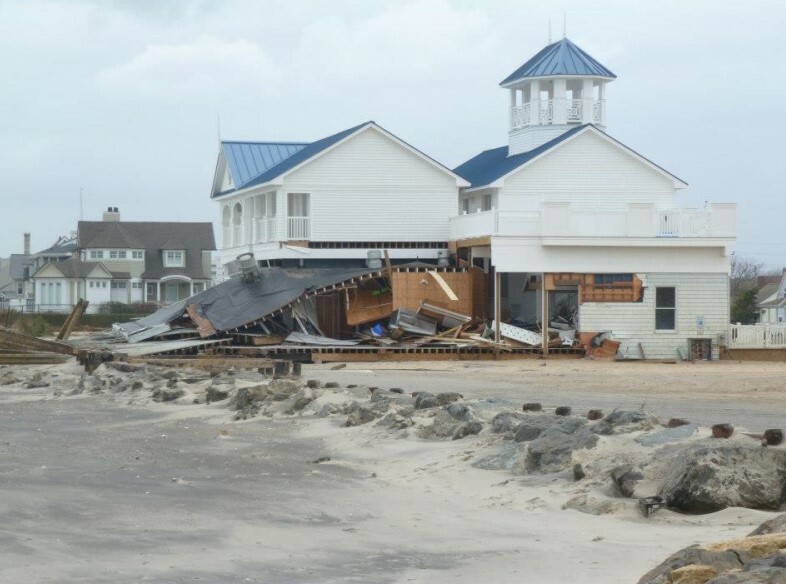 MBBP damage after Hurricane Sandy, 2013. 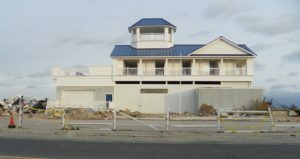 MBBP reopening after Hurricane Sandy, 2013. 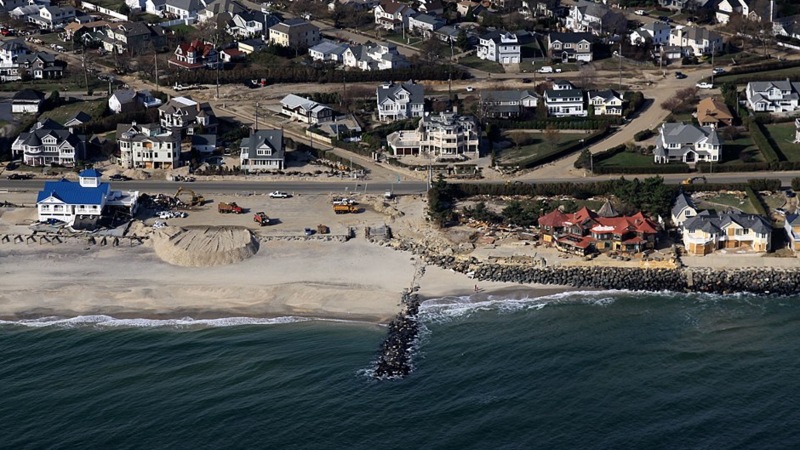 Aerial photo of MBBP after Hurricane Sandy, 2013. 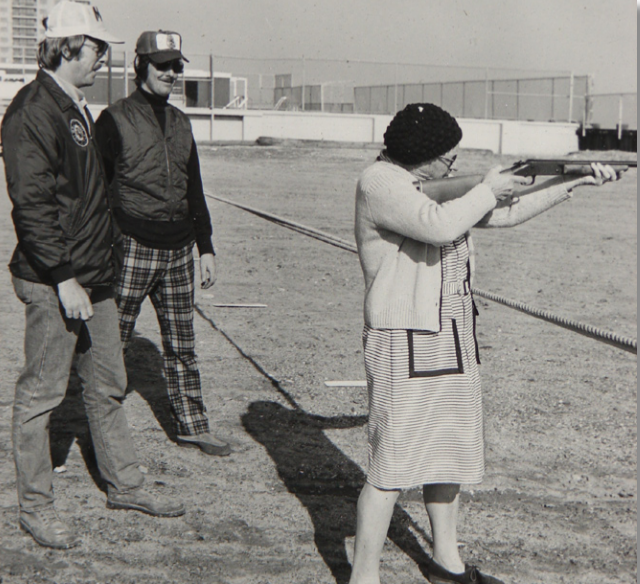 MB First Aiders Paul Kleiberg and Lou Ferrugiaro watch Clara Panter during the squad’s “Turkey Shoot” at the MBBP, 1970s. MBBP Bathing Belles: From left: Leona Woolley McConville, May Peterson Mass, Betty Talmadge Kahle, Pat Ryan Zweig, Helen Schumacher Butts, Marian Ryan Tuttle, Rosa McDaniel Green, Irene Saller West and Betty Smith, 1943. 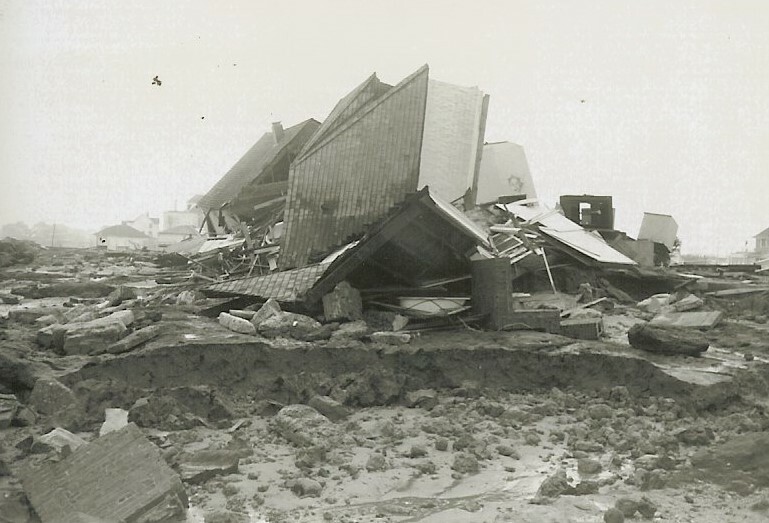 MBBP after “Ash Wednesday Storm,” 1962. MBBP repairs/upgrades after Hurricane Sandy, 2013. 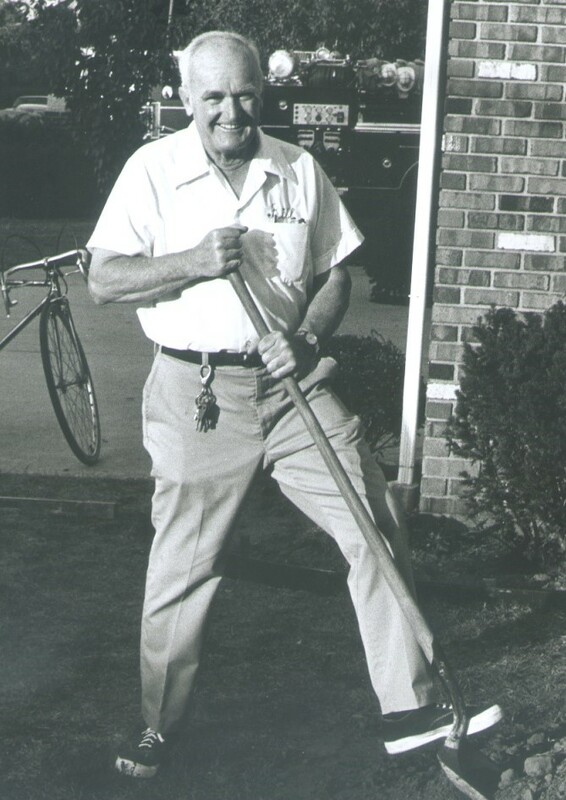 Bill Heath, longest-serving MBBP manager, 1970s. 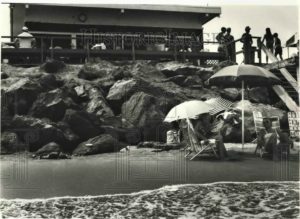 MBBP guards march in MB-American Bicentennial Celebration: Parade, July 1976. 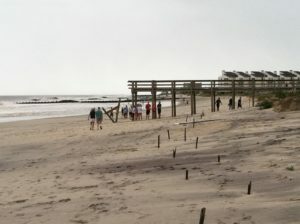 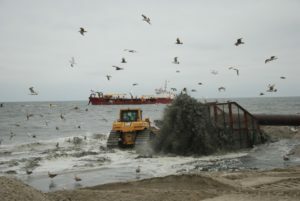 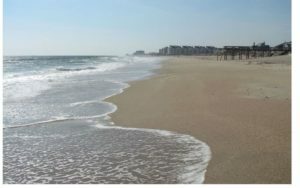 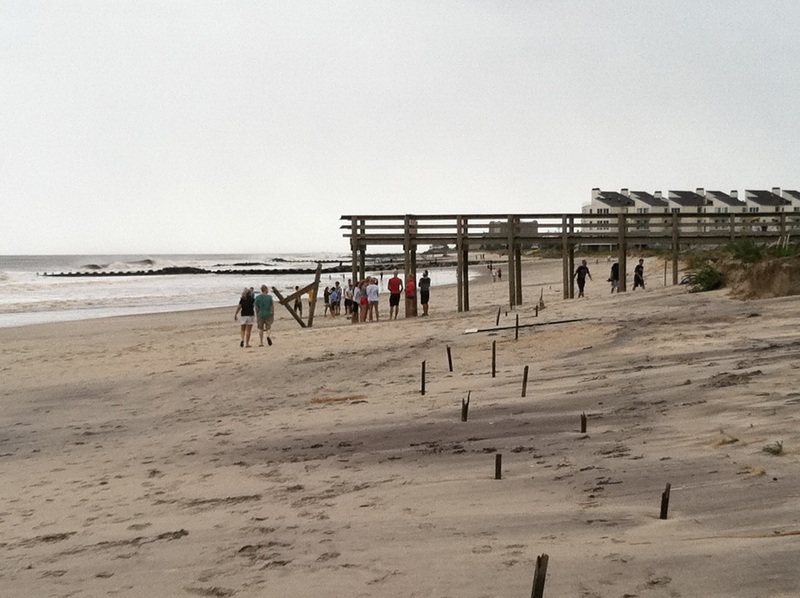 US Army Corps beach replenishing near MBBP, 2013. 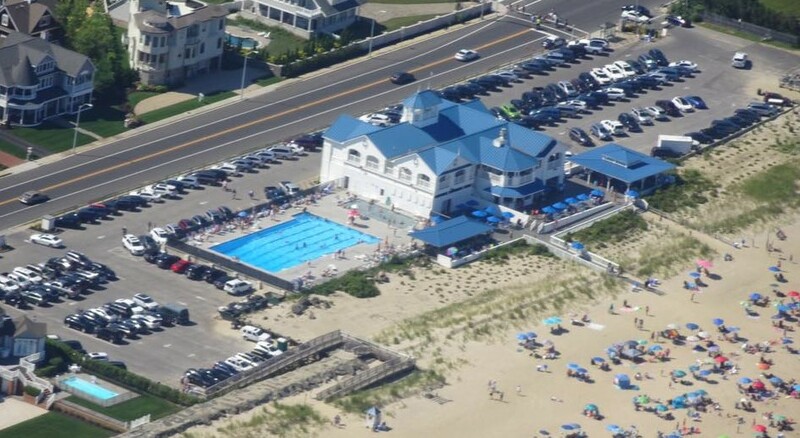 Aerial view of MBBP, 2017. 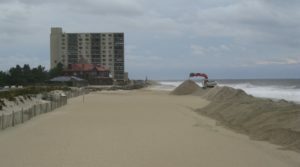 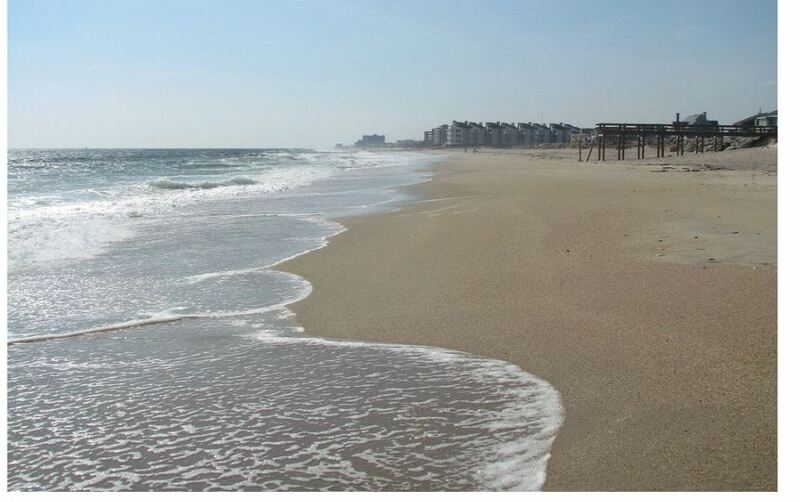 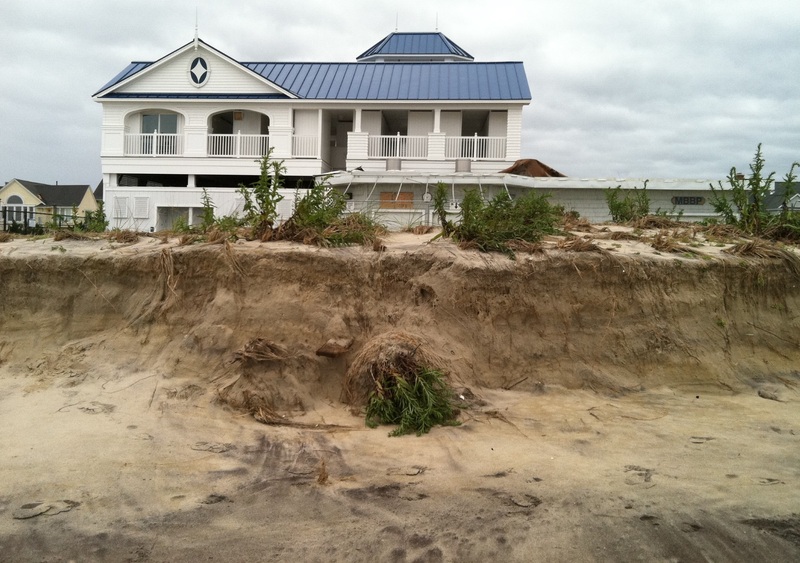 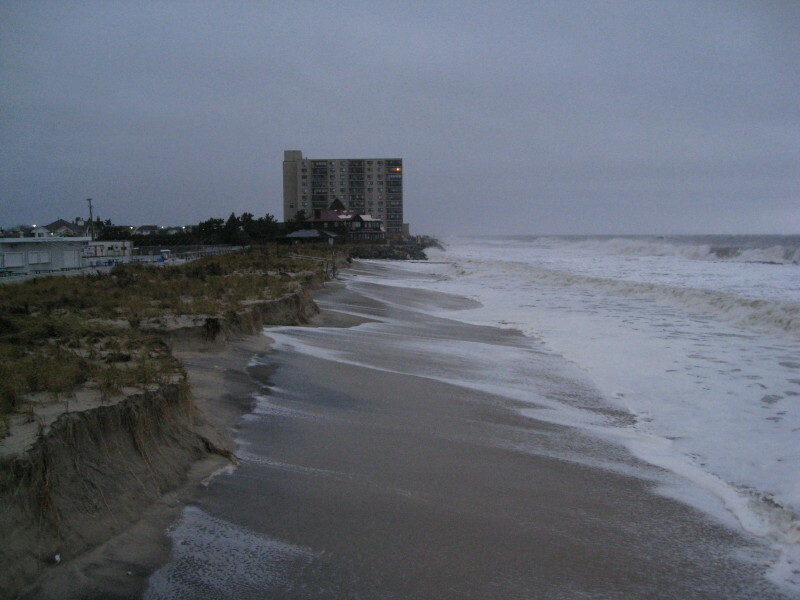 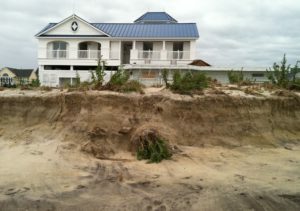 MBBP sand erosion from Hurricane Irene, 2011. Seating at the MBBP, 2016. 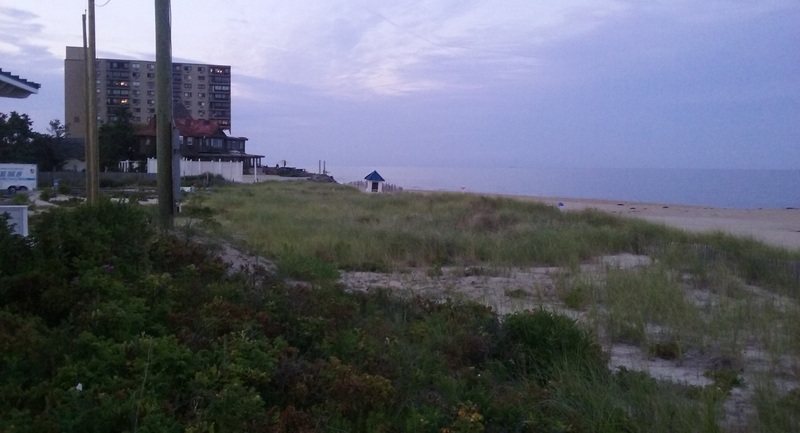 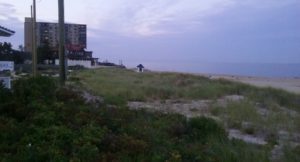 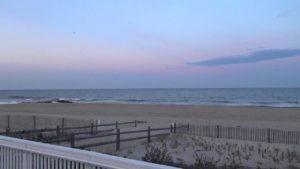 MBBP north beach access at twilight, 2016. 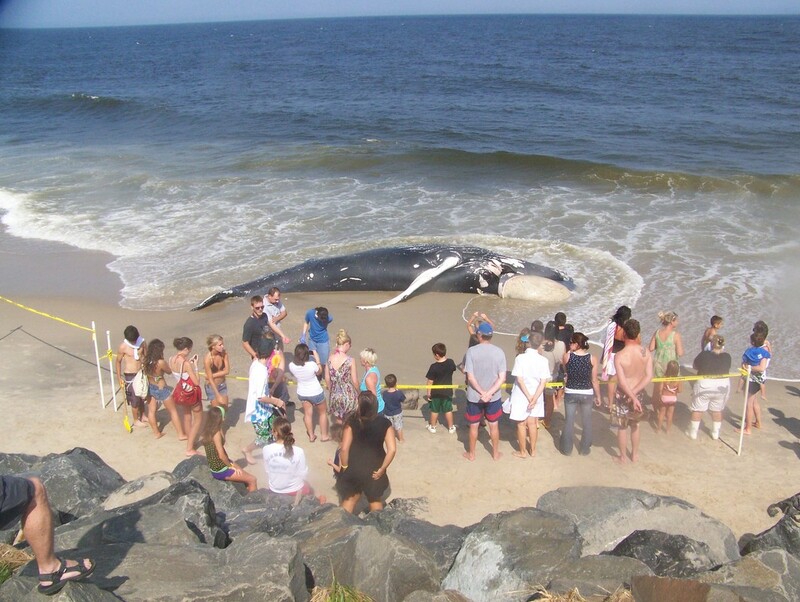 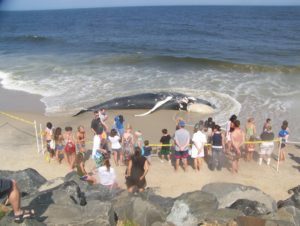 Dead Humpback Whale near MBBP, 2009. Damages to the old MBBP, 1962. 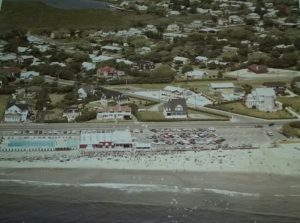 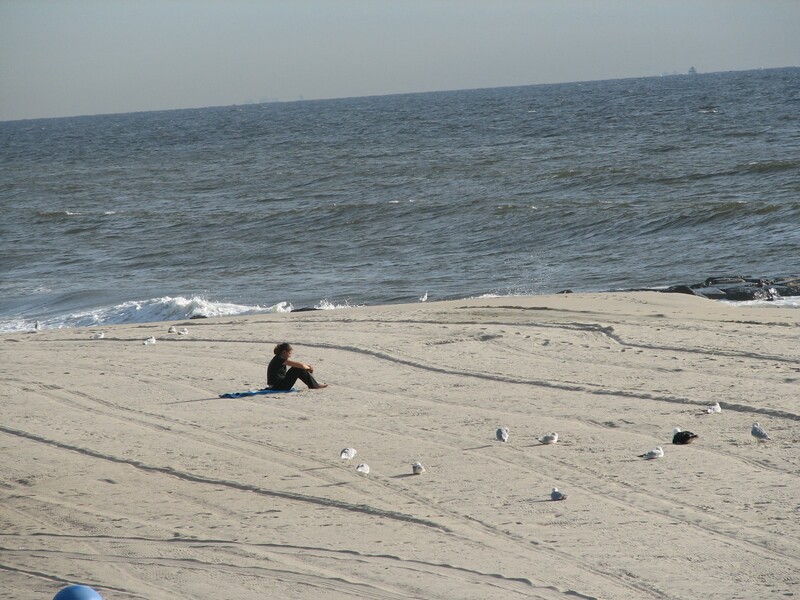 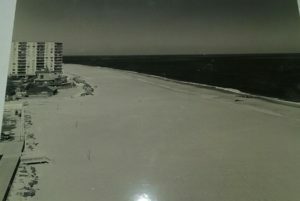 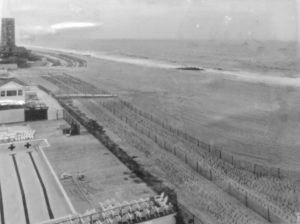 MBBP “postage stamp” beach before 1994 sand replenishment. MB School Summer Campers at MBBP, 2018. 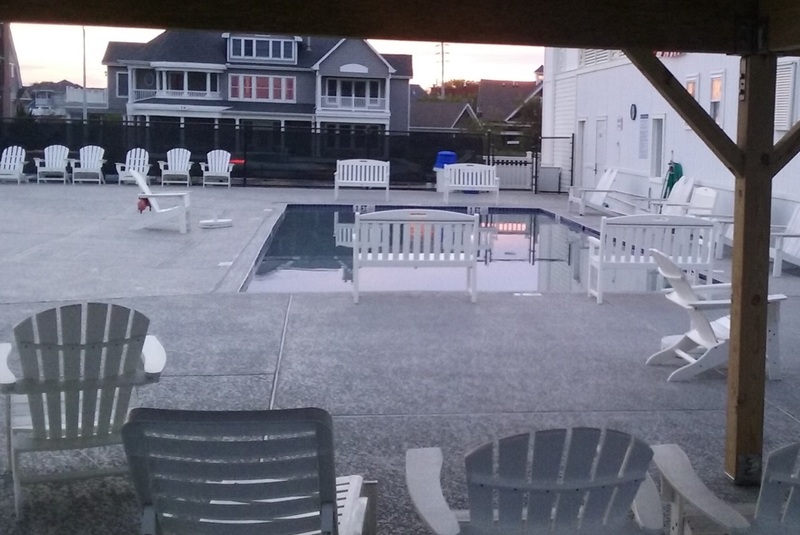 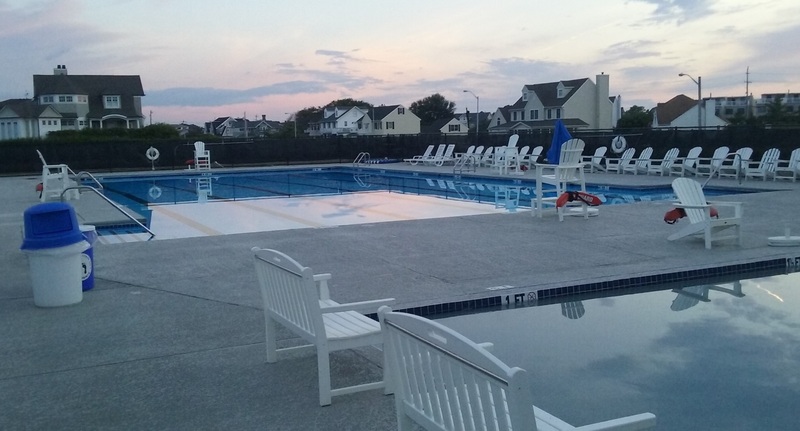 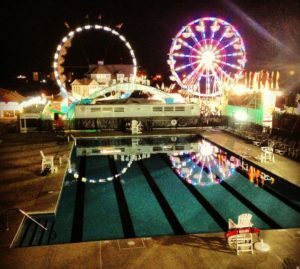 MBBP pool area, Summer 2018. MBBP “baby pool,” Summer 2018. 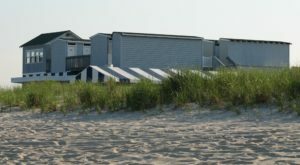 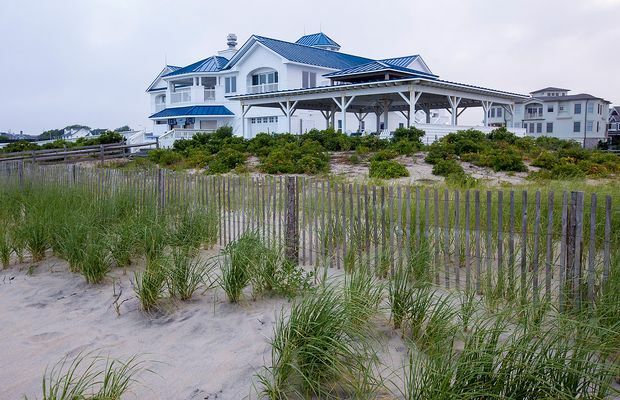 MBBP dune grass, Summer 2018. 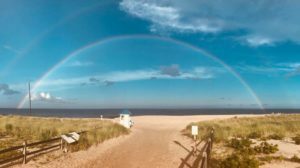 Rainbow at MBBP, Summer 2018. 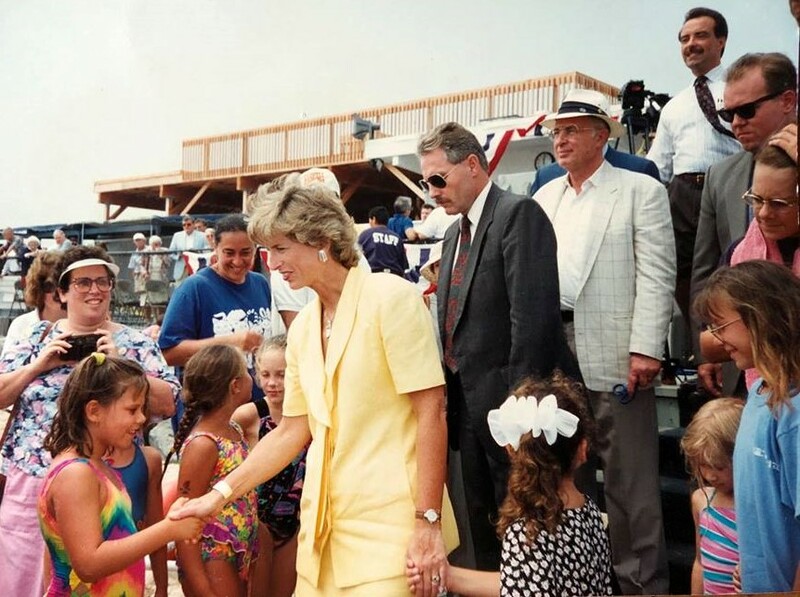 Mayor Sue Howard at MBBP, 2018. 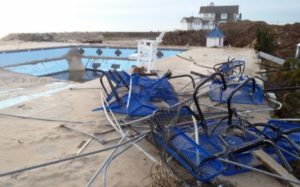 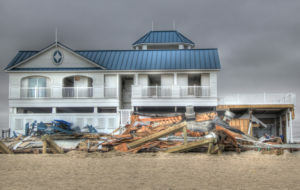 MBBP south beach after Hurricane Irene, 2011. 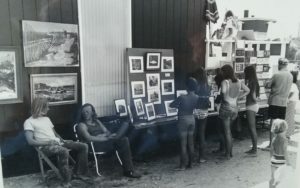 MB Firemen’s Fair held at the MBBP, 2010s. 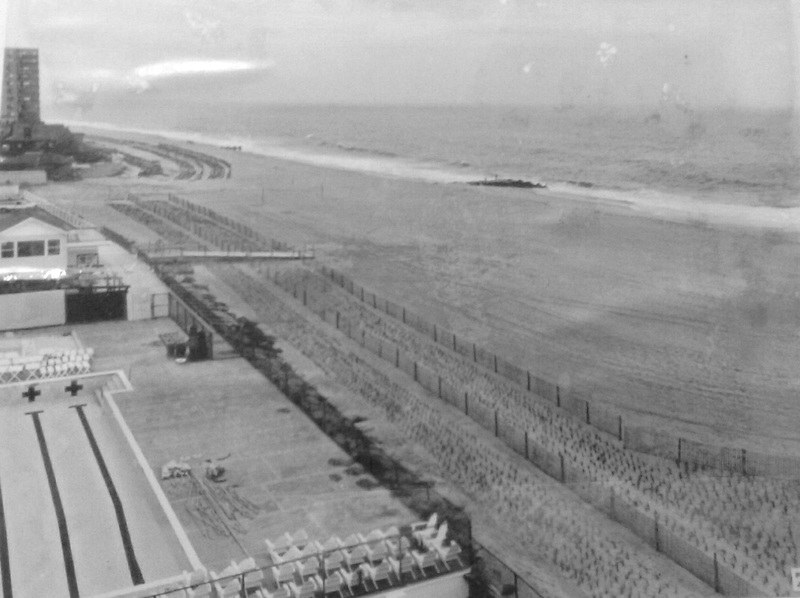 Sand replenishment beginnings at MBBP, 1990s. 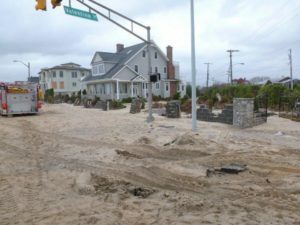 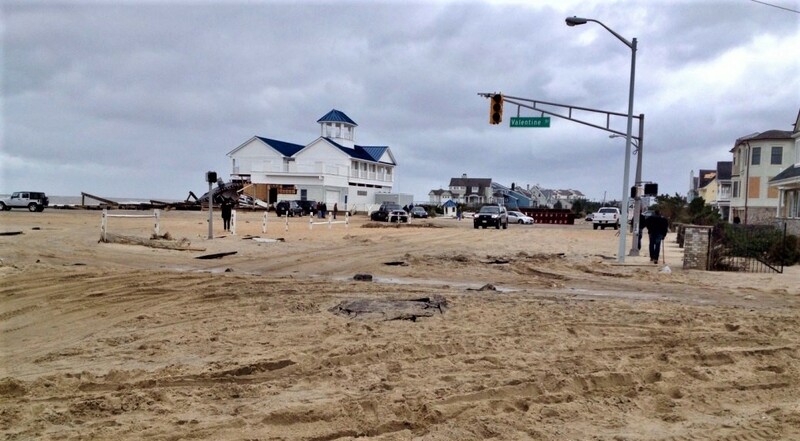 Ocean Avenue in front of MBBP after Hurricane Sandy, 2012. 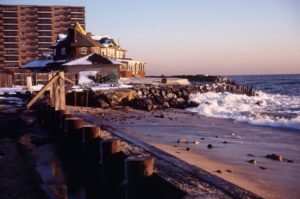 MBBP shoreline in the winter, 2018. MBBP damage after Hurricane Sandy, 2012.